It’s one week until Valentine’s Day. For some, that means decorating Valentine’s mailboxes for munchkin’s classroom parties, for some it means buying fancy unmentionables, for some it means planning a fancy dinner. But however you are celebrating Valentine’s Day, here are a few of my favorite books that will set your eyes a-twinkling. Although Dorothy Sayers’ contemporaries were horrified when she introduced a love interest for her aristocratic detective Peter Wimsey halfway through the series, the books featuring mystery-writer (and accused murderer) Harriet Vane quickly became fan favorites. And though I enjoy the entire series, these are the ones I compulsively reread. 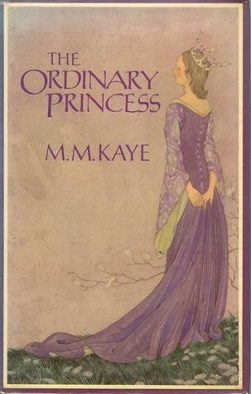 Sayers wrote four books in the series featuring Harriet Vane (Strong Poison, Have His Carcass, Gaudy Night, and Busman’s Honeymoon); the books show their relationship progressing, not in some extraordinary conflagration, but by infinitesimal increments–and that, I think, is why it is so believable. Harriet Vane isn’t just a foil for Peter Wimsey–she has serious problems and interests of her own and adamantly resists the relationship until she believes that she can remain an individual though coupled. Harriet Vane and Peter Wimsey are by far my favorite literary duo: they seem quite perfectly matched–Dorothy Sayers has them lobbing (and catching, naturally) sideways allusions to literature and history and phrases in various languages back and forth- it’s exhilarating when you understand them and informative when you don’t. Gaudy Night is the book in which they most frequently and most clearly discuss the compromises in a relationship–even in a good relationship. What it takes to make it work. And why it’s worth it to try. Major Pettigrew is an iron-clad British widower in his sixties. Methodical, conservative, proper, respectful… he despairs of his son who has abandoned Edgecombe St Mary to live in the city, he cherishes his antique rifles, gifted to his father in return for an act of bravery during the twilight of the British Empire in India. He’s been alone for several years, and the recent death of his brother has left him feeling completely unmoored from his life. Mrs. Ali is a Pakistani shop-keeper in the staid little town of Edgecombe St. Mary. Although the townspeople are happy to buy milk and bread from her, her inclusion in the life of the town hasn’t extended beyond merchant. Although it certainly isn’t written into the club rules that a person of color is excluded, it’s also true that none are included. After the death of her husband, his family has been pressuring her to leave the successful shop to a younger member of the family and move in with the daughter needing child care, allowing her to spend her twilight years untroubled by trade. Both are alone, lonely, unsettled and vaguely dissatisfied with their lives. But they are middle-aged… Romeo and Juliet can rush off into passion, ignoring family and society (with, um, perhaps less than successful results), this couple, however, has their feet firmly on the ground, head and life twisted up with family obligations and complications, social structures and strictures and all of the, well, stuff that accumulates in life. 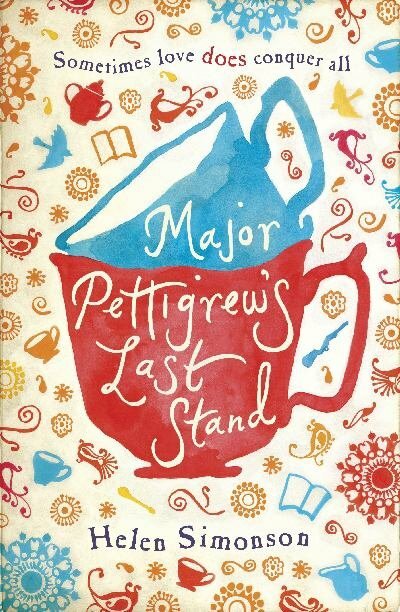 Braving the small rudenesses and the enormous cultural differences; finding love, affection, passion and forgiveness… Major Pettigrew and Mrs. Ali are absolutely and utterly charming. Yes, not a word I use lightly, but charming they are. Davido is the teenage grandson of an immigrant Jewish farmer, Mari is the Catholic daughter of an olive farmer. They live in a remote Tuscan village in 16th century Tuscany. 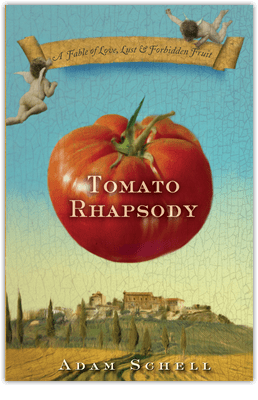 This is the story of how the tomato came Italy, the story of olives and tomato sauce and pizza, fools and dukes, puppets, poisons, and rhyming peasants, well-endowed donkeys and drunken saints. Primarily, though, this is a story about love: romantic love, familial love, love of god, love of country. And always, love of good food. This book is one of my favorites. I first read it when I was about sixteen, and then read it just about monthly through the rest of high school. Sir Percy Blakeney is a British aristocrat; his wife, Lady Margurite Blakeney, was a French actress before marrying Sir Percy—he loves her and she loves him, but since an unfortunate misunderstanding shortly after their wedding they’ve restricted their communications to insipid pleasantries. Both hate the situation, neither trusts the other, everything is a huge mess. Oh, and it’s the middle of the French Revolution, so there’s some drama about that too. And it’s just so freaking romantic. This book is a collection of letters from women to sweethearts and husbands stationed abroad during World War II. It’s heartbreaking—and inspiring. Women who, up to this time, have not had to worry about keeping the car operational or balancing the budget are writing their husbands about the midnight shift they took at such-and-such production factory or the extra income they are managing to save by renting the living room out as an extra bedroom. Most of them talk about budgetary difficulties. All of them talk about fighting loneliness. (This is what had me sniffling.) Many of the letters end with memories of times shared—and it is very clear that those memories are all that make the present tolerable. The authors introduce each couple, tell how and where they met, how long they had been dating/engaged/married when the war intervened. Then the letters are given in chronological order, then a concluding paragraph about the couple (they married three weeks after… had so many children, retired in this location, have so many grandchildren, etc.) So very heart-warming. The Blue Castle has long been my favorite of L. M. Montgomery’s books; it’s just so absolutely flat-out romantic. Valancy Stirling is a skinny, sallow spinster who lives the most depressing life imaginable with her overbearing mother, sniffling aunt, and interfering, patronizing extended family. After suffering a worse-than-usual chest pain, Valancy secretly goes to a specialist, who tells her that she has a serious heart condition and will die within the year. Valancy rebels at the idea of “dying before she’s lived,” and starts speaking her mind at family gatherings, leading the elderly patriarchs of the family to murmur, aghast, while her mother has hysterics. She eventually tells her story to the town ruffian, a sparkly-eyed backwoods man who smokes a foul-smelling pipe and drives the oldest car imaginable. She then proposes to, marries, and moves in with this backwoods man, the euphoniously named Barney Snaith. After several months of the most perfect health and glorious happiness, she begins to wonder about the doctor’s diagnosis–and what that might mean to her marriage. The birth of the seventh daughter in a family of princesses with impossibly golden hair and beautiful complexions is greeted with appropriate pomp. At her christening, a strange fairy aunt gives an unexpected gift: she is to be ordinary. Immediately Princess Amethyst’s nose starts to turn up and her hair turns slightly darker. Eventually no one can deny that she is, indeed, ordinary. And that’s my top list—what would you choose? Here is what you do when feeling stupidly melancholy about the boyfriend leaving for a measly six weeks: make French Onion Soup! I’ve had a stash of this soup in the freezer since I first stumbled across the recipe on The Pioneer Woman. Trust me. It’ll change your life. It’s easy-peasy, it’s cheap as all get out, and it freezes and thaws quite wonderfully. Preheat oven to 400 degrees. Melt butter in a heavy soup pot or Dutch oven over medium-low heat. Add onions and cook, covered, for 20 minutes. Place soup pot into the oven with the lid slightly ajar to ensure the onions will brown. Allow onions to cook in the oven for 1 hour, stirring at least once during the cooking process so onions won’t stick and burn. Remove pot from oven and place back on stovetop over medium heat. Stir, scraping off all the brown, flavorful bits. Turn off heat and pour in wine. Turn heat back to medium. Cook wine for five minutes, allowing it to reduce. Add broths, Worcestershire Sauce and minced garlic and reduce heat to low. Simmer for 30 to 45 minutes. When soup is ready, ladle into bowl or ramekin. Place crispy bread on top, and then sprinkle generously with grated cheese. Broil until cheese is melted and bubbly. So tonight, even though my house is a tad less inhabited than I’d prefer, everything smells delicious, all of that onion chopping gave me a good excuse for the totally unnecessary sniffles whose existence I’ll be adamantly denying tomorrow, and since the recipe called for a glass of wine, I’m absolutely justified in opening that bottle. Life is good. Even if it is a little sniffly right now.